The quick synopsis of this year’s journey across Death Valley at the 2012 Badwater Ultramarathon is simply that is was outstanding. 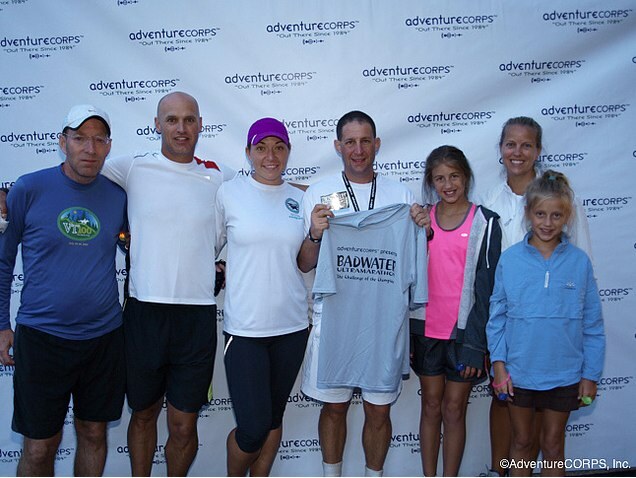 Armed with the stellar crew of Jason Overbaugh, Dani Grabol and Wayne Bates, as well as my girls acting as the “support crew to the support crew,” we managed to set a personal best at Badwater by 2 hours, 35 minutes and 37 seconds! That was good enough for 45th place out of 96 starters, and, in our start group we finished ahead of every runner except for 2 – the absolutely amazing 70-year old Art Webb (33:45:40) and uber-talented Amy Palmiero-Winters (36:49:35). We got to catch up with many old friends, as well as make some new ones along the way. Of course, it was once again a flawless and stellar event – we cannot thank Race Director Chris Kostman and his entire staff enough for making this journey possible. Hey Tony, congrats! 4 badwaters, amazing! Nice work Tony, and thanx for all the articles and suggestions on what to do for first timers. We were all virgins except for one crew member on Team Fabrice, and it was an amazing experience. I had high expectations and they were met for sure. Congratulations on another finish!! Thanks Jay! My pleasure on the articles and suggestions...glad it worked out and that Fabrice did so very well.